Based on the summit of Hawaii’s dormant Mauna Kea volcano, the W. M. Keck Observatory enables astronomers to explore the Universe using the Keck twin telescopes, the world’s largest optical and infrared telescopes. The Observatory deployed RealVNC® remote access software with an Enterprise license to meet a variety of requirements across the Observatory, from the extraordinary such as remotely displaying screens from the telescope systems, to more commonplace requirements including remote administration and teleworking. 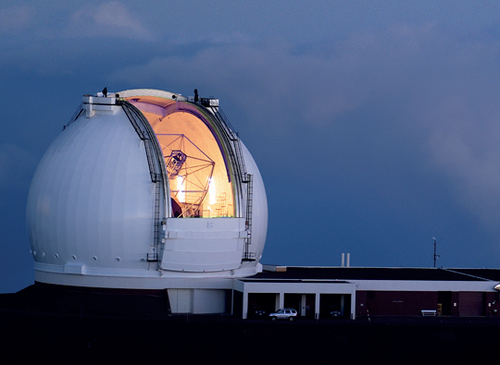 Keck Observatory had a number of requirements for RealVNC® software to fulfil. The Observatory wanted to remotely display screens from their telescope systems, based near the 4200-meter summit of Mauna Kea, so that they could be viewed by multiple users from both the headquarters at Kamuela on the Big Island of Hawaii and research facilities across the United States mainland. Further to this, the IT team wanted to be able to remotely manage and administer its systems, whilst staff needed secure access to their office PC, regardless of location. RealVNC software has been deployed to staff at Keck Observatory allowing them secure remote access to data and applications on their office PCs, whether they are on the road or working from home. Using RealVNC remote access software, the Observatory’s engineers and IT administrators are able to carry out round-the-clock remote IT administration, whether installing a new piece of software, performing upgrades or for troubleshooting, enhancing the efficient running of the Observatory. The Observatory also uses RealVNC software to remotely display screens from the telescope systems, reducing the need for astronomers to travel to the summit for observation. VNC with an Enterprise license features configurable access restrictions and control rights that can be set so that a number of users can access and view the same screen, such as for remote observation, or with restricted access to ensure one user does not connect during another user’s session. RealVNC software was chosen for its high level of security, providing the IT team with the ability to set preferences regarding encryption, access restrictions and authentication. In addition, RealVNC software runs on a number of operating systems such as Windows, Mac and Unix, with a deployment tool available for Windows operating systems, making it easy for administrators to manage. 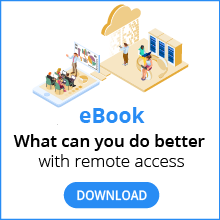 Staff at Keck observatory found RealVNC remote access software a multifunctional solution that contributes to work across the organization and reduces costs.